Home Technology Telecom Does Unified Communications Really Cut Costs? If you’re thinking of moving to Unified Communications, the first question on your mind is probably “How much is this all going to cost me?” Fortunately, the answer is much less than you expect, and you’ll gain so much more in terms of productivity and collaboration that it will justify your investment. UC is not in itself a new technology but as the term “unified” suggests, an integration of technologies you’re already using: telephony, instant messaging, and email. Many organizations consider UC when upgrading from traditional wire line telephony to VoIP enterprise phone systems. CI&T deployed an NEC UC solution and found that it was not only cheaper than the old VoiP system, but improved productivity and customer satisfaction as well. While there are inevitable up-front capital expenditure costs, such as for the enterprise phone systems, routers, PBXes, and so on, a lot of companies find that switching to VoIP saves them a lot of money in the long run. One of the biggest ways that VoIP by itself saves money is the elimination of long distance phone charges. Why do you think so many people took to Skype even before Microsoft announced it was rebranding Lync as Skype for Business? 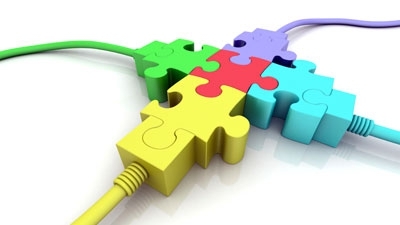 With SIP trunking, calls throughout an organization can be centralized. You don’t even have to install a VoIP PBX on your premises, but can opt for a hosted PBX if you don’t want the hassle of a physical installation. VoIP maintenance is also done almost completely in software, so technicians don’t have to deal with clunky old phone systems. CI&T found that the biggest improvement was in the quality of the communications between the company and its clients. The main upfront costs come from software licenses, including for the server and database licenses as well as the licenses for the VoIP itself. The hardware is another significant investment. There are gateways, enterprise phone systems, and analog connections to purchase. Coming back to UC, when a company has decided to adopt VoIP, since the phone service is coming from the same wire the Internet does, it makes sense to further integrate phone and Internet. UC systems integrate presence, which shows who in an organization is available. If one employee needs to call another, she can see if that person is available from the contacts list and make a call or instant message immediately instead of playing “phone tag,” saving a lot of wasted time. As more people adopt mobile devices, UC looks like a good solution for handling business communication needs. Smartphones and tablets allow for a mobile workforce, whether your employees work in the Houston area or halfway across the world. Cloud-based UC systems are making virtual companies without physical offices more viable. You could dispense with office space, with the rent, electricity, heating and cooling costs altogether. You would offset these costs to your employees, especially if they were supplying their own devices. While the core of UC is voice and instant messaging, a number of other new features will pay off in the long run. Social media and SMS integration will attract more Millennials to your workforce, and videoconferencing will save a lot of money on travel costs. Switching to VoIP and UC will deliver benefits that far outweigh the initial costs in terms of ease of connectivity, productivity and the ability to communicate with people across the hall or across the world.